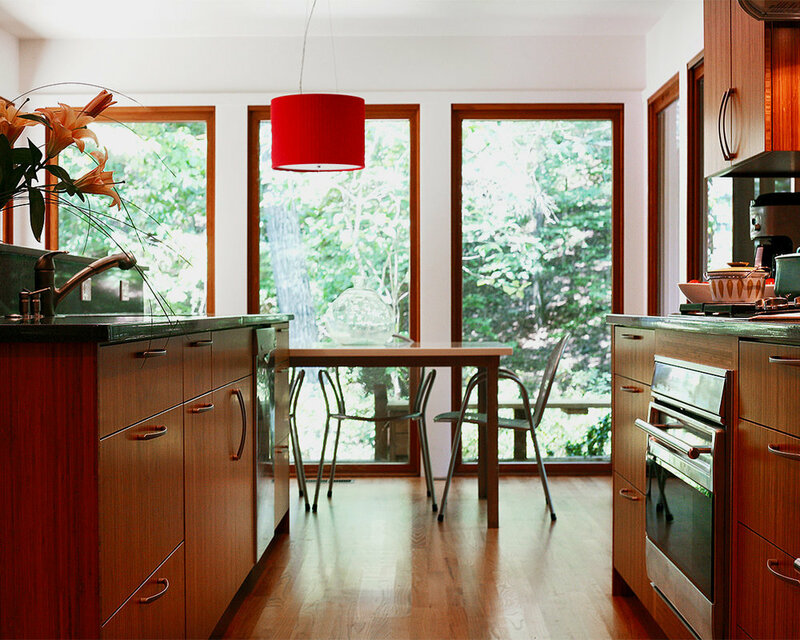 MODERN KITCHEN — TRIPLE AUGHT DESIGN + BUILD. Billings’ kitchen features a long functional island (quartzstone top with walnut half wall cap) that includes the dishwasher, sink, trash pull-out and storage. Attached to the end of the island is a white quartz table with stainless steel legs. Cooking and refrigeration parallel the island. We opened up a hallway through space to add a butler’s pantry along a shared dining room wall. Locally made custom bamboo plywood cabinets.